In darkest January there probably weren't a great many people, especially those without Sky Sports, thinking about Cricket. However for those involved in the game, this was the real start of the new season. Worcester Park Cricket Club began their adult indoor nets training back on Sunday 25th January and are welcoming any and all new players over 16 (of all abilities). Whether you are a new player or someone wanting to get back into the game, just turn up at the weekly nets session from 12:30-1:30 on Sundays at Richard Challoner School, Manor Drive, KT3 5PE (near Malden Manor station). Feel welcome to have a chat with Rob Waite on 07946 343 282 if you would like more information. The training will be moving to outdoors for both adults and juniors after Easter as soon as conditions allow at the home ground in Green Lane. Pre-season friendly matches will begin in mid-April, league games start in May and the season will continue through until late September. Fuller details may be found at the club's website: www.wparkcc.co.uk. Worcester Park Cricket Club is a thriving friendly club and is always open to new playing members and supporters. During the summer months the club fields four adult Saturday teams in the Surrey Championship. 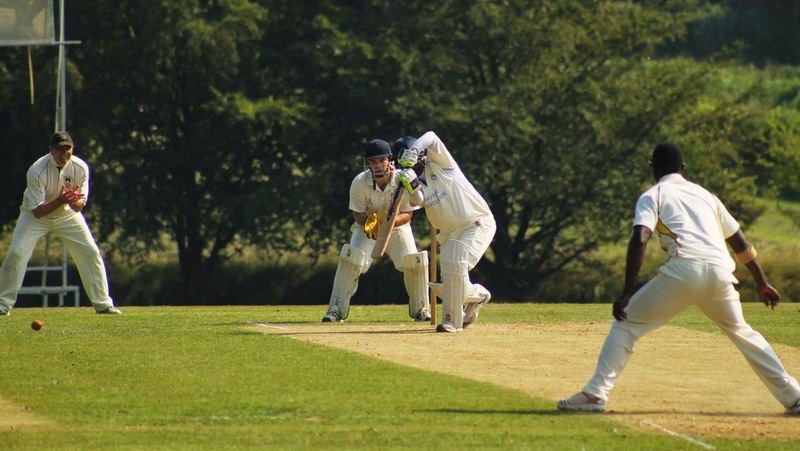 On Sundays there are opportunities to play league and friendly cricket in either of the club’s two teams. There is also a season-long programme of midweek friendly cricket. For junior players, the club also has a large colts section with over 100 young players aged between 7 and 17 coached by a group of qualified coaches. Worcester Park Cricket Club is also proud to have had its Clubmark accreditation renewed by the England and Wales Cricket Board. The accreditation recognises the work any cricket club does to ensure they are a properly managed part of the local community. To be awarded the Clubmark Worcester Park Cricket Club has demonstrated that it is a safe environment for children to participate in sport, it has robust and accountable management, it has an organised programme of cricket and it knows its responsibilities as a community club. To find out more about ECB Clubmark visit http://www.ecb.co.uk/development/club-cricket/clubmark/. 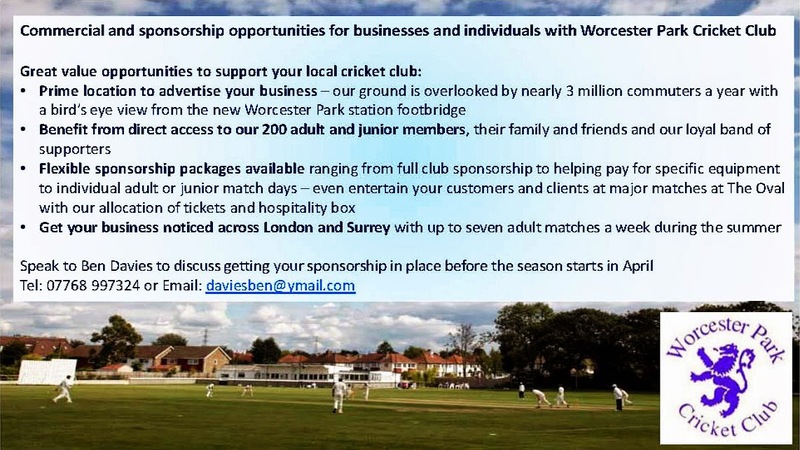 There are also opportunities for local businesses to sponsor the club (as detailed below) which helps raise your profile, improves facilities for local people and demonstrates your commitment to the local community. It also helps keep the local economy ticking over if businesses spend their money locally, just as residents help the local economy by shopping locally.